The economy is due to pick back up at the end of 2015 because of increased consumer spending, construction, home sales and home building – all spurred by more jobs and higher wages. But there are still few business opportunities that provide a low upfront investment with an established brand, expert training and financial support. The average franchise fee is $20,000 to $30,000 and it’s common to run into different economical requirements that a franchisee has to meet to even qualify. That’s where being a DISH Authorized Retailer makes a lot of sense. If you want to get a business started or add products and services to your exiting portfolio, you can find affordable initial costs with a DISH business. You may need to invest in purchasing some equipment, insurance and at least a first round of marketing materials, but you can get up and running with low initial expenses. Who hasn’t heard of DISH? They already have an established, powerful brand through national advertising campaigns. The cost of a 30-second spot during Sunday Night Football on NBC is over $500,000, but you wouldn’t have to incur any of those costs. DISH takes care of that for you. And they have developed an excellent line of award winning products and services – such as the DISH 4K Joey, which was voted 2015 Best of Year by Reviewed.com, a division of USA TODAY. It’s a slim new set-top box capable of streaming 4K content from your DISH Hopper to anywhere else in your house. It’s so slim it can be mounted in almost any location, even behind your TV. 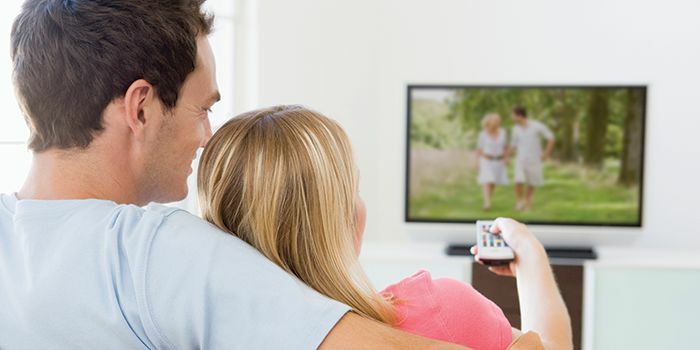 All you have to do is present the satellite TV service to your potential customers and the brand sells itself! DISH has a field team entirely devoted to the training and support of their retailers. They also have robust online learning tools including DISH University and their online community resource called DISH Portal. RS&I also provides retailers with a personal account executive to give you the one-on-one guidance and support you would be hard-pressed to find anywhere else. We have eight branches in the western U.S., which brings our account executives to a location near you! It makes it easier to build close relationships with our retailers when we have the proximity they need. Together, DISH and RS&I offer you a double layer of support unparalleled in the world of authorized retailers. Not only can you get started with a low investment, but DISH provides you with marketing funds to get your company name into the market! They have a brand new website called DISH BrandDRIVE, which is a one-stop shopping experience for all your marketing needs. With pre-approved marketing material, up-front Co-op funding, powerful reporting analytics, and new digital marketing options, DISH BrandDRIVE allows you to create and track advertising programs more easily and with greater success than ever before. The simple, straightforward interface makes using the new site effortless, meaning you can spend less time in front of your computer and more time in front of your customers. It assists you with the distribution of marketing funds for call-tracking, creative services, direct mail, online websites, malls and events, radio, TV, print ads, and more! RS&I is also here to help you strategize and focus your efforts on effective campaigns. With a network of several hundred DISH Retailers, we have a feel for what works when it comes to your marketing game plan. They’ll be pleased with their decision every time they turn on their favorite show or sports game! At the end of the day, becoming a DISH Authorized Retailer provides you with low initial costs, a well-known brand in the industry, training from experienced professionals, and financial assistance to help you become a recognized leader in your community and online. You essentially have it all with DISH. And RS&I is a master distributor for DISH, bringing you local support and equipment for your everyday needs. If you would like more information on how to become a DISH Authorized Retailer, take a look at our website. You can even provide your basic contact information on our site and we’ll have your local RS&I Account Executive contact you with even more helpful information.